Along with the FIA Foundation, Global NCAP, Emissions Analytics, Transport and Environment and the C40 Cities, the International Council on Clean Transportation (ICCT) has established The Real Urban Emissions Initiative (TRUE). The TRUE initiative seeks to supply cities with data regarding the real-world emissions of their car fleets and equip them with technical information that can be used for strategic decision-making. Following this objective, the ICCT has decided to conduct on-road remote sensing measurements of air pollutant exhaust emissions from light-duty vehicles in the city of London and has awarded this contract to Opus RSE. London has already exceeded the European Union limits on nitrogen dioxide concentration (NO2) this year. NO2 pollution comes from a variety of sources, but the primary culprit in the UK is internal combustion engine vehicles. High pollution levels are linked to asthma and lung cancer. It is estimated that, across the country, NO2 pollution contributes to over 23,000 premature deaths each year. Opus RSE, as the only certified laboratory for the remote emissions measurement with the RSD technology, has encourage both to the Spanish Government, the Spanish Traffic Authority and the Research Centre for Energy, Environment and Technology to prepare a law to control the on road traffic emissions in Spain. It has been proved that the mandatory periodic vehicle inspections are not reliable. Vehicles are not inspected in real conditions and this makes the actual vehicle emissions in urban areas may differ from the official data. On the other hand, there are many vehicles with a poorly maintenance, engine problems, etc. that are circulating until the date their inspection must take place. The RSD technology is able to measure the on road traffic emissions in real conditions, and therefore it has been chosen as the technology from which to develop legislation in Spain. The main objective of this project is to provide technical support for the creation of a legal framework in order to face the problem of the air pollution from the road traffic. The conclusions are helping to guide, improve and develop specific policies with a significant impact in reducing these emissions helping to improve air quality. ISO 17025. Opus RSE INTERNATIONAL RECOGNITION. Opus RSE is the first laboratory in the world ISO 17025 internationally reocognized to measure emissions with the RSD technology. 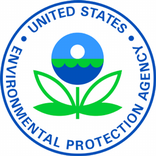 The United States Environmental Protection Agency (EPA or sometimes USEPA) is an agency of the U.S. federal government which was created on December, 1970 for the purpose of protecting human health and the environment by writing and enforcing regulations based on laws passed by US Congress. Year 2012. "Red Emprendeverde". Best start-up project. Spanish Ministry of Environment and Biodiversity Foundation. Awarded by the Minister of Environment, Mr. Miguel Arias Cañete. Biodiversity Foundation, the Spanish Ministry of Agriculture, Food and Environment announces the "Emprendeverde" competition in order to reward those green start ups who stand out for their contribution to the sustainable economy by helping to create and consolidate their business and recognizing their ideas and initiatives. The use of the RSD Technology to control and monitor the on road traffic emissions was awarded with the first prize. Year 2011. "Muévete en Verde". Sustainable mobility best initiative. Madrid City Hall. Awarded by the Mayor of Madrid, Ms. Ana Botella. 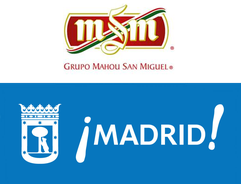 The Mahou-San Miguel Group has been awarded with the distinction "Muévete en Verde" in the category of Sustainable Development of Freight Transport for the implementation of an innovative system for measuring the emissions from all the vehicles using their premises. Such innovative technology was the RSD System. Mahou-San Miguel Group was provided with all the tools and information required from the RSD data collected during the project execution for them to take the proper actions to improve their fleet. The Mayor of Madrid, Ana Botella, presented the awards at the auditorium of the EMT (Municipal Transport Company of Madrid). The main national, regional, municipal, university and neighborhood organizations involved in managing urban mobility were responsible for selecting this project as winner.